FRIDAY, March 24, 2017 (HealthDay News) -- "We just pulled it." With those words to the Washington Post late Friday afternoon, President Donald Trump confirmed that House Republican leaders have rescinded a bill aimed at overturning President Barack Obama's signature health care reform law, the Affordable Care Act (ACA). The repeal of the ACA, also known as Obamacare, was a key promise made by Trump during his presidential campaign. However, despite intense lobbying this week from both the White House and Republican leaders, including House Speaker Paul Ryan, the 215 votes needed for passage of the GOP's replacement bill failed to materialize. "We came really close today, but we came up short," Ryan said during an afternoon press briefing. He confirmed that it was his decision to pull the bill and the President agreed with that decision. It was a stunning defeat for Trump. According to the Post, White House press secretary Sean Spicer said the president had "left everything on the field" over the past week in pursuit of the bill's passage, personally lobbying 120 lawmakers. Friday's decision to pull the bill came after Ryan rushed to the White House -- alerting Trump that resistance from conservative GOP Freedom Caucus members was not ebbing enough to ensure passage. For example, House Appropriations Committee Chairman Rodney Frelinghuysen (R-N.J.) told the Post earlier on Friday that the GOP bill was "currently unacceptable," despite changes made late Thursday to win over conservatives. Those changes had only served to "raise serious coverage and cost issues," he said. More moderate Republicans also had reservations about the legislation. According to the Post, Rep. David Joyce (R-Ohio) had said he would vote against the bill, as did Rep. Barbara Comstock (R-Va.). Ryan and GOP leaders have said all along that there was no "plan B" if the bill failed to garner the necessary votes. "This is a setback, no two ways about it, but it is not the end of the story," Ryan said, saying he remains committed to deliver on the promise of repeal. A vote on the bill was originally scheduled for Thursday, but delayed until Friday after the Trump administration issued an ultimatum to GOP legislators: Pass the bill or get stuck with the current law. Issuing the demand through Budget Director Mick Mulvaney, Trump suggested he was done negotiating with members of his own party, the Post reported. The ultimatum followed a turbulent day of political arm-twisting on Thursday. GOP leaders insisted early in the day that they would have enough votes to dismantle the Affordable Care Act. But when it became clear that the bill would not pass despite concessions made to party conservatives, Thursday's vote was abruptly postponed. Earlier this week, GOP leaders had unveiled amendments to the bill in hopes of appeasing party critics. However, with those amendments, the bill would still leave 24 million more Americans uninsured, according to an analysis from the independent Congressional Budget Office (CBO). And it would save the federal government $150 billion over the next decade -- much less than the $337 billion under the original bill. And speaking on the House floor Thursday morning, Democrats accused Republican leaders of rushing ahead with a bad bill merely to keep a political promise of repealing and replacing Obamacare. "This is ludicrous," balked Rep. Jim McGovern (D-Mass.). "You don't get extra points for being fast." McGovern called the bill a "tax cut for the rich masquerading as a health care bill." And Rep. Nita Lowey (D-N.Y.) argued that Americans would be forced to pay more for less coverage than they have under the Affordable Care Act. Trump's deal-making with conservative Republicans may have come at the expense of votes by party moderates. Rep. Charlie Dent (R-Pa.), leader of the moderate Tuesday Group, issued a statement Thursday evening announcing his opposition to the American Health Care Act. "We have an important opportunity to enact reforms that will result in real health care transformation -- bringing down costs and improving health outcomes. This legislation misses the mark," Dent said. Medical groups are likely to applaud the bill's defeat. 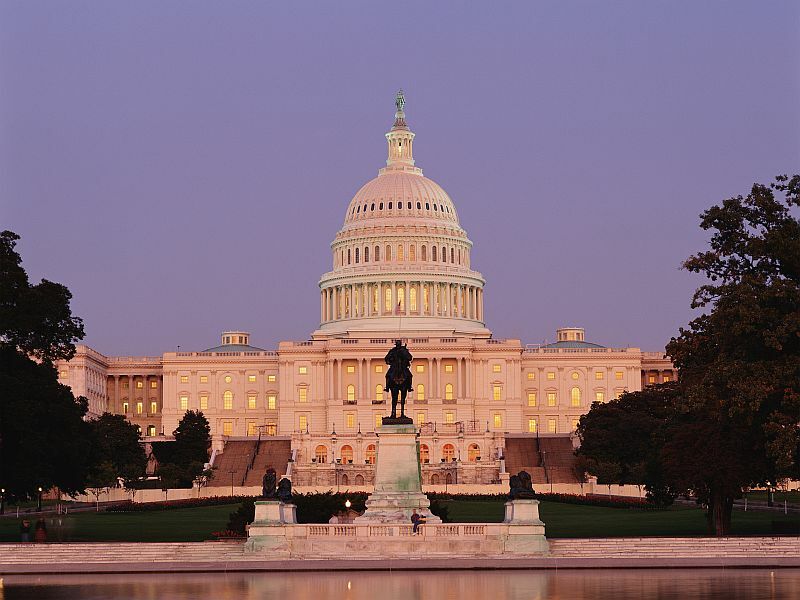 On Thursday, the American College of Physicians (ACP), which represents the nation's internal medicine physicians, urged Congress to "go back to the drawing board" to devise a new bill with input from patient advocacy groups. "The goal must be to expand existing coverage and consumer protections available under the Affordable Care Act, rather than taking them away as the [Republican proposal] would have done," said ACP President Dr. Nitin Damle.